Audie Chamberlain is the co-founder of Lion & Orb, a real estate PR brand. This was Audie’s 9th consecutive ICNY — and his connections to the industry and to others are getting stronger each year. Here’s what Audie had to say about his experience at this year’s Inman Connect New York. My favorite session was definitely CEO Connect, I had always heard great things about it from friends and clients but had never attended. When I saw that two of our clients were participating, I jumped at the opportunity to attend! There was so much talent and leadership in the room, and it was in Carnegie Hall no less! The entire program was designed to make you think and one panel in particular, “Soldier, Teacher, Firefighter: Leadership & Courage from the frontline” that erupted into a standing ovation (something I have seen twice before at #ICNY) this panel really spoke to me and cemented my decision to attend Disconnect in the desert to focus on leadership as a company this year, and as individuals. It’s critical to us as we work with business leaders on a day to day basis. We’re not your typical real estate conference. How did this compare to others you’re used to? This Connect seemed smarter than ever, adding events like Hacker Connect and Tech Tuesday has helped raise our collective real estate IQ and the intelligence in our industry is something that I find very appealing. I also noticed that this year had a bit more optimism as the political changes were a bigger distraction last year. In the media and at the event. There was a great mix of brilliant minds both inside and outside of real estate who are wrestling with big ideas. The world is changing so quickly now, you can help yourself to keep up with everything by attending the Inman conferences. It’s a great lifehack. What was the most meaningful thing you took away from your time at Connect? The most meaningful thing for me is always connecting and reconnecting with the people who’ve made me who I am as a person, and as a business person. These are the same people that I admire most, and when we connect on a personal level, we become excited to introduce each other to more people we admire. That’s the power of Inman. This summer will be my 10-year anniversary of never missing an event! As an attendee, participant, client, employee, company owner, speaker and advocate, it never gets old! So many great memories of launching, products, beginning acquisitions, key talent changes — all at Inman. Another highlight this year would have to include the tour my clients and I had arranged at Bloomberg’s iconic headquarters. We had lunch with a dear friend that ended up becoming a great collaboration. Which session surprised you the most? I’m a big fan of Clear. Love the service and found the session on the future of the internet of things from Caryn Seidman, the CEO of Clear to be the most surprising because there are all sorts of ways that technology will continue to change not just the practice of real estate but the ways we live our lives. I have friends at PinDrop and TrustStamp and watch this space closely. There’s a real shift going on in how we are exchanging privacy for ease of use. We see it in things like Uber already and be sure that it’s coming to more verticals soon. Besides the incredible speakers and informative sessions, what won you over? This is totally outside of Inman but Winston Welborn, who spoke on the main stage, and I, ducked out to a few museums and the iconic Leica store in SoHo. As people saw on stage, he’s got such a design-centric mind, it was fun to see things through his eyes for a day. 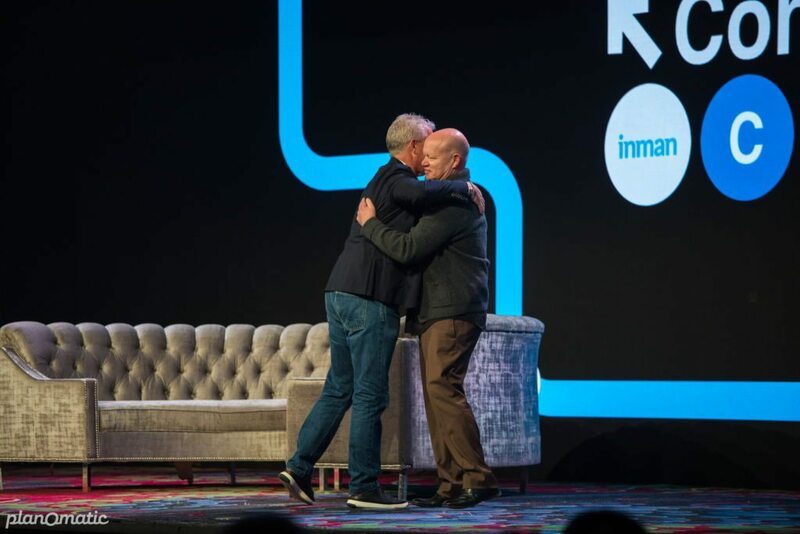 The great thing about Inman Connect New York is that it’s so centrally located that you can have adventures with good friends and still get back to the conference without missing a beat. Follow Audie Chamberlain on LinkedIn.